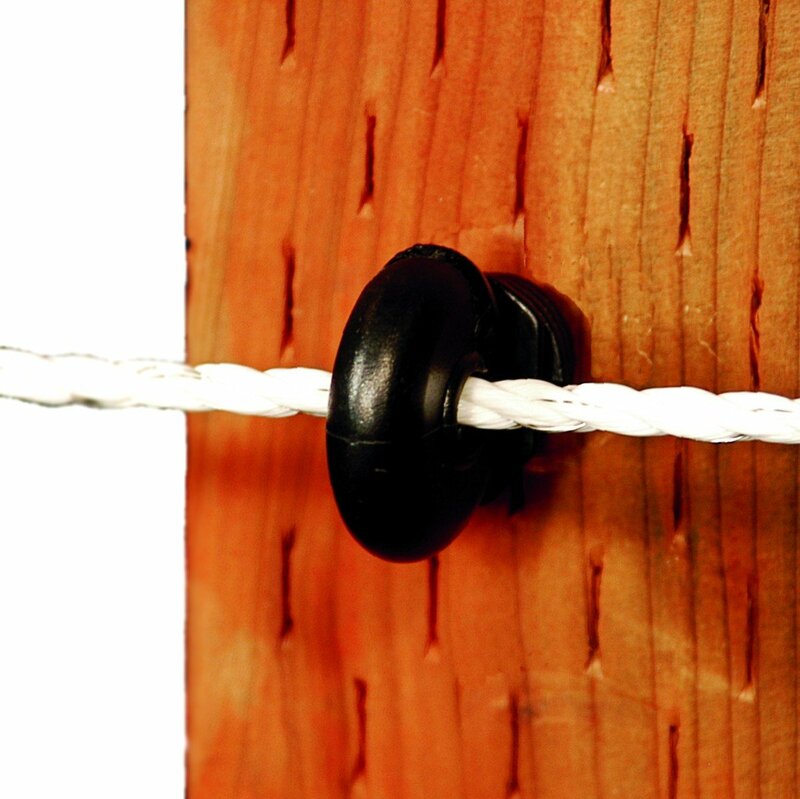 A unique wood post insulator for rope and wire with the screw molded into the thick polyethylene body. This very strong insulator is able to hold High Tensile Wire and Hot-Coat or Poly-Coat fencing. Black only, 10 per case. 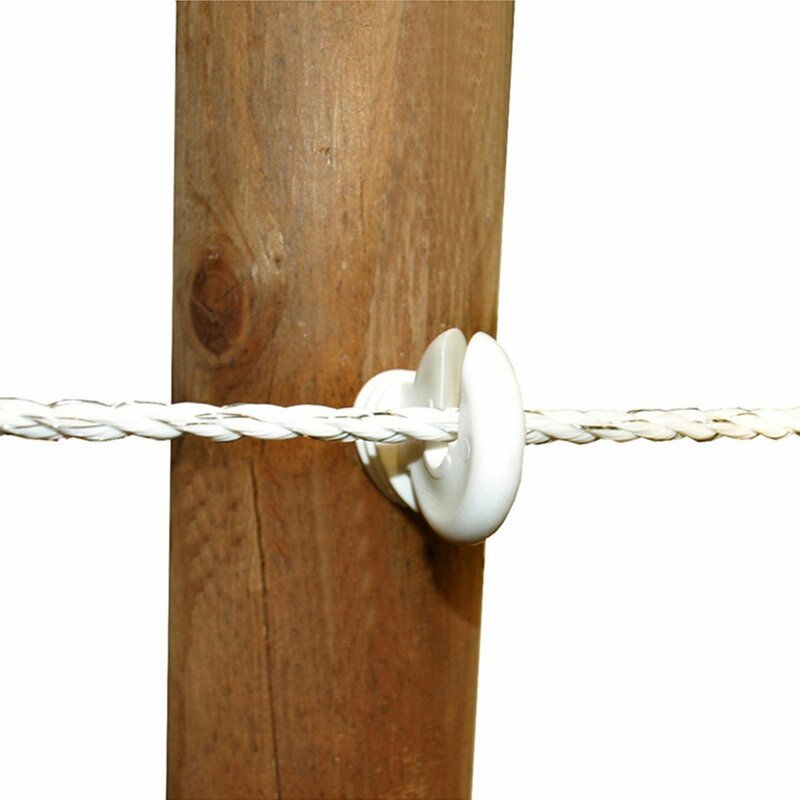 Wood post insulator for rope and wire with the screw molded into the thick polyethylene body. Makes it easy to install ring insulators. Fits any standard ⅜” drill.